There is a lot of exchange of money that is completed online between people, especially of those people in a variety of countries. Bitcoin has been a popular choice for many. And the innovative technnology behind bitcoin is called the blockchain. This is a relatively unknown technology that can easily be misunderstood by those who are not familiar with it. With all of this misunderstanding about this technology, people find it to be very controversial and have a lot of mistrust for this new technology only because of its association with bitcoin. FinTech companies are very interested in the blockchain technologies. For experts in the financial world, they understand that there is actually nothing controversial about this new trend. 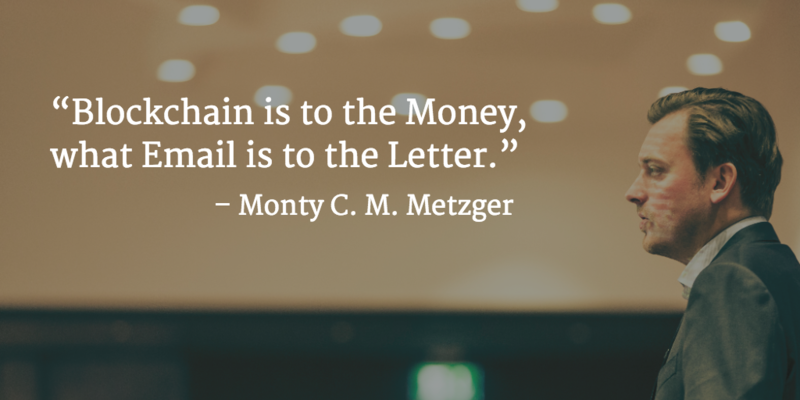 Blockchain is to the Money, what Email is to the Letter. What is blockchain? It is basically just a digital ledger that is shared with a variety of different parties. What makes this so unique and uncontroversial is the fact that changes cannot be made to it with having the majority consensus agree to the changes. This is not the only great thing about this so-called future of money so fantastic is that data cannot be changed after it has already been entered into the ledger. In many other forms of financial systems, you are actually putting your trust into one third party to give you the right information. For instance, you trust your bank to give you accurate bank statements or your antivirus to make sure that your computer safe. Trusting just one entity with your information can be dangerous because they can offer misinformation or just simply lie to you. This is how mistakes happen. This is the biggest reason why blockchain is such a huge game changer. These records will be accurate and since they cannot be changed, you can trust that the information that you are receiving is trustworthy. The best part is that these ledgers can offer all of this detailed information without making its users compromise their privacy. Blockchain is starting to make waves in the financial world with some of the largest banks in the world beginning to research how they can utilize applications of blockchain. Estonia is just one location that uses blockchain in order to secure their banking infrastructure, actually has the lowest rate when it comes to credit card fraud in the entire euro zone. Internet startups are starting to pick up on blockchain for their own businesses as well. The future of money really is found within the blockchain technology. People want something that they can trust because it is their money on the line. Blockchain has a lot of potential, and there can be so many other applications of this technology in other fields. Think about putting documents like health records or even things like marriage licenses in the blockchain. You can create a visible trail for audits so that you can see each event without actually compromising anyone’s privacy. Blockchain is the new technology to trust and it will be interesting to see where it goes from here. 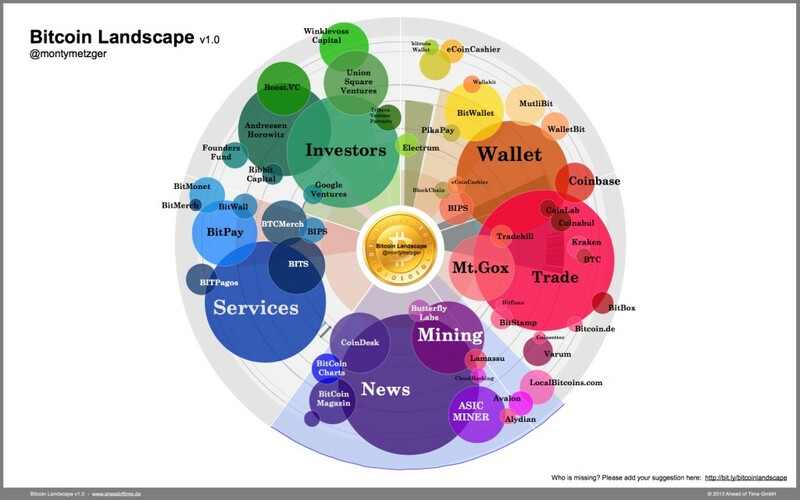 Back in 2013 Monty already started to dig into Bitcoin, Cryptocurrencies and Blockchain and published this Visualisation of the Blockchain Industry. Who are the players, change-makers and investors in the bitcoin landscape? Who is shaping the future of the cryptocurrencies and digital currencies? This is first version mapping the world of bitcoin in a simple map.